"Simple, yet stylish" - an enduring look and attitude only the best are able to pull off. 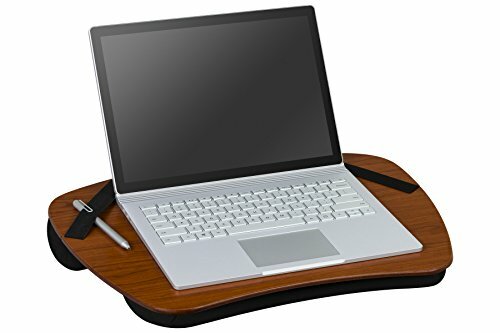 The LapGear Classic Original Wooden Lapdesk with Straps is an elegant solution for those with discriminating style and finesses. This Lapdesk delivers on style and substance, with straps positioned at each corner secure your gear and two pads on the bottom keep your lap cool while providing soft comfort while you work. The carry handle makes this light weight desk portable for any where, any time. Perfect for notebook computers up to 15.6"